I just heard the sad news that a friend to many in Venice, Gregory Westbrook, died last night. I don't know any details, but I know people are sad and upset. 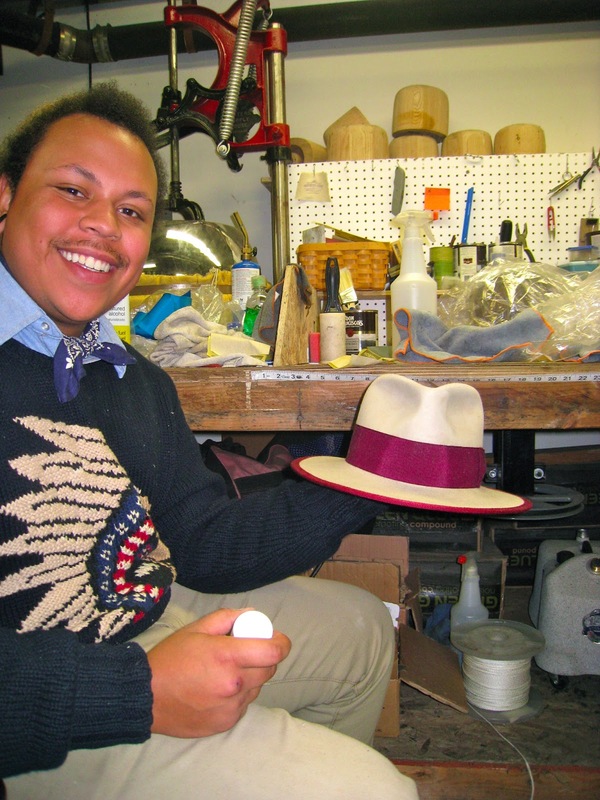 I thought it would be nice to re-post the story I did about Greg and his Westbrook Maker hats that really kicked off the whole artisan hat trend here in town, and around the world. Peace and sincere sympathy to his family and friends, and love from Venice. You've seen the guys (and some cool ladies too) walking around Abbot Kinney with their Westbrook Maker hats on ... LEGIT hats, custom made for the head they're on. Bringing back old time quality, with personal attention to every last detail, Westbrook Maker is quietly starting a revolution against sameness and throw-away consumerism, right here in Venice. 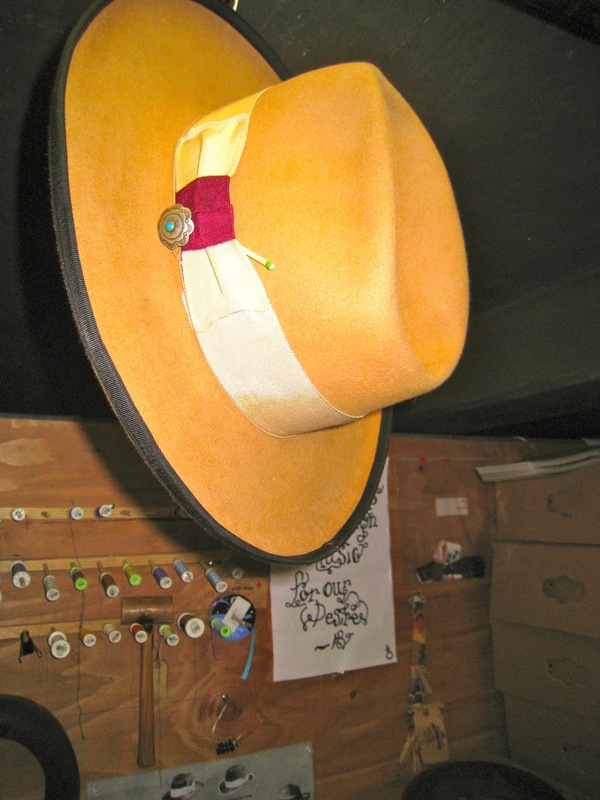 Gregory Westbrook and Nick Fouquet operate their hat shop underground in a parking garage on Abbot Kinney - for now. 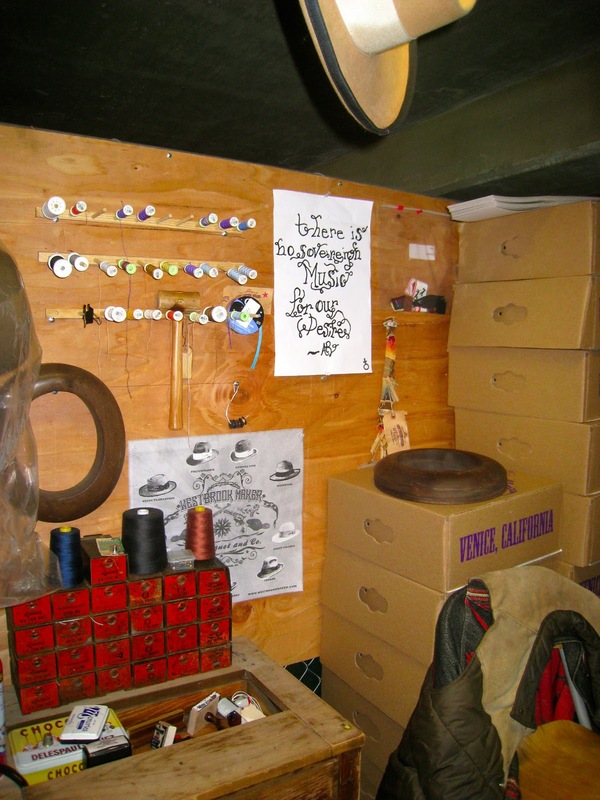 The cage is stuffed with hat forms and mannequin heads, ribbon, thread, sewing machines, and the mostly beaver fur felt that will become a hat of a lifetime. Many lifetimes, rather, as they are built not only to last, but to be handed down for generations. 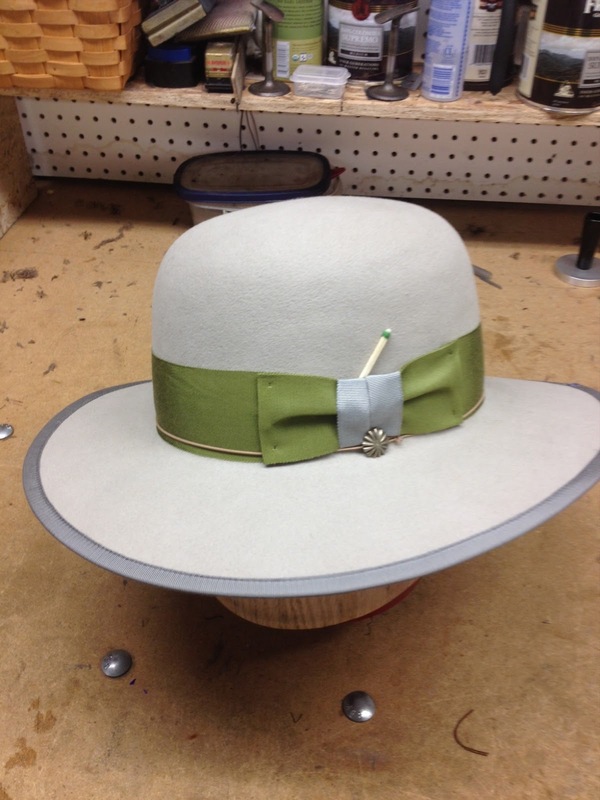 Hatters (as they like to be called) Westbrook and Fouquet shared a love of quality, timeless fashion, hats in particular. "I grew up on the rodeo circuit, raised by wild Indians,", said Westbrook, who is as creative with his tall tales as he is with his hats. In truth, he grew up in Florida and New York before finding his way west to California (like the beavers "who started the Westward Expansion." Westbrook is full of useful information). His dad always wore proper hats, and would pass them on to Greg. He would restore and re-shape them and make them his own, as "If you have an interest or a passion for something, you just know how to put it together." He got a degree in photography, and then worked at Billy Martin, which taught him a lot about men's fashion and what clients really were looking for. He also found that he would often be disappointed in the quality of the hats he liked, especially for how much they would cost. So he decided to make his own, after apprenticing with a master hatter in Utah. He made 6 hats on that guy's equipment, and got so many compliments wearing them (and people bought them off his head), that he decided to make more. Fouquet, Westbrook's partner, and a "Professional Adventurer," grew up in New York and Paris and loved design, wanting his own brand ever since he was a little kid. He always wanted to be different with what he wore, and wanted to make custom things that no one else would have. Fouquet worked at Mr. Freedom in Los Angeles, honing his design sense, and discovered a common love of quality and hats with Westbrook when they became friends. 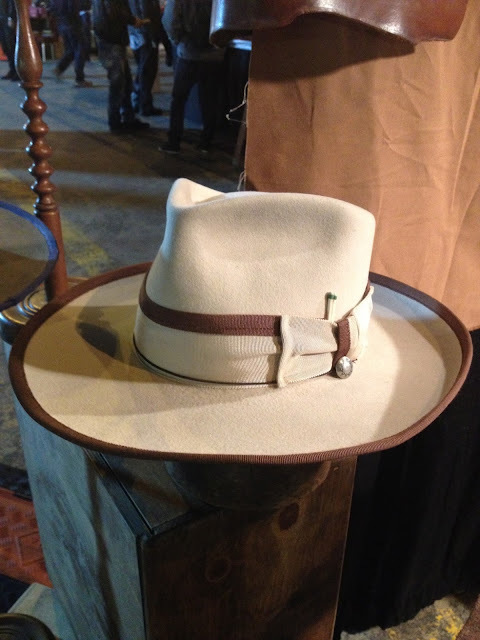 They started making their hats, and wearing them, and within a year they had international wholesale business. 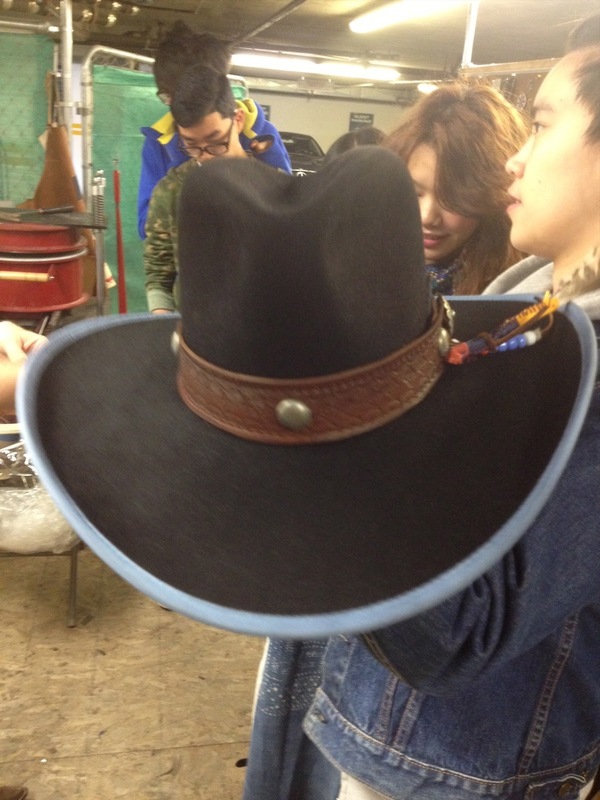 I recently visited their hat shop and watched how the whole process goes down. Assisted by their apprentice, Mikey Soto (born and raised in Venice, where the high school's baseball field is named for his Grandfather, Ralph Soto) and their finisher/sewer, Rebecca Ross, the hatters crank The Clash and Cash (..."And Elvis ... and Bob Dylan ... And The Doors ...") as they create the most beautiful hats imaginable for their discerning clientele of rock and movie stars, hipsters and high-rollers, nabobs and neighbors. Though, as Westbrook said, "I'd rather make hats for the regular 9-5, 40 hour a week guys who just want their money's worth." Their money's worth is an investment, as your custom hat base price is $400 - $800, but it's an investment for life. The gorgeous hats (wait list times for yours are currently 4-6 weeks, as "the longer they're on the blocks, the better they are") are not made of out disposable materials that will wind up in a landfill, they are made out of the finest possible of everything, built for longevity and value, that will stand up to the test of time. These are heirloom pieces, meant to be handed down, generation to generation. Classic Americana work wear, made the way it was done over 100 years ago. Westbrook explained, "The only thing different now is that we have electricity to run the machines. That's it." Westbrook and Fouquet love what they do, and are happy they have happy customers, which is making their business grow like crazy. They're in Henry Duarte, and Bergdorf Goodman, Shelter Hats and Deus Ex Machina. 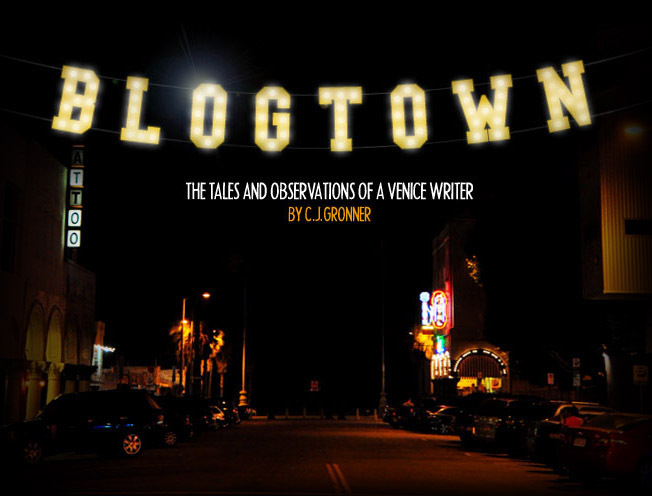 They've been featured in GQ, Vogue, and the Best of L.A. edition of Angeleno. They're all over fashion blogs and are "big in Japan" - a sure sign you've made it internationally. So much so that they're out-growing their little spot in the parking garage. They need to get a store-front, and would love to stay in Venice, and keep shipping out their hats in their excellent new made-in-Venice boxes. Both guys lament the loss of edge and grittiness in Venice, where "Even the surf and skate culture is gentrified now ... If we're not careful, you're looking at just another Promenade here, " but are doing their part to keep it real and clearly unique down here, a place that is "supposed to be about leaders, not followers", Westbrook stated profoundly and correctly. So they enjoy our cleaner air, living close to work, riding bikes around and embracing what's left of the neighborhood feel, like walking over to Abbot's Habit for breaks and shooting the breeze with the locals, many of whom are now proudly sporting a Westbrook Maker on their heads. Nodding our heads along to Willie Nelson, Westbrook looked into the future and told me, "One day someone will have one of my hats that their Granddad gave them." To which Mikey Soto chimed in, "And then he's gonna be my intern!" I love these guys. I love their hats. Support your local community and "Come get a hat!" Westbrook Maker will style you out by appointment and can be reached via their website at www.Westbrookmaker.com.